Hot off the presses! 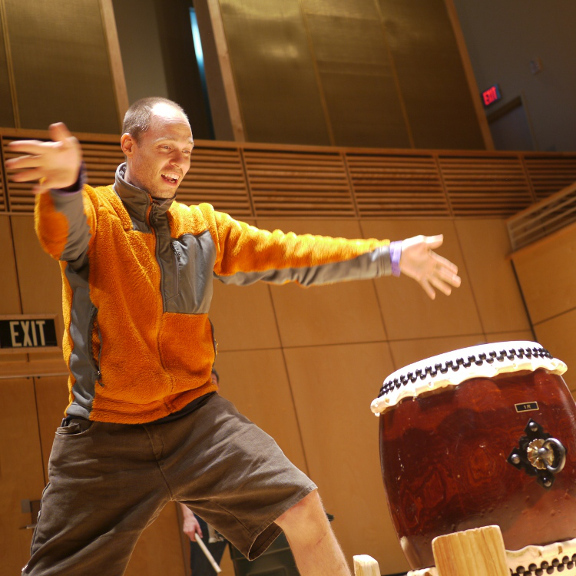 Orientation utilizes taiko's fundamentals (multiple drum tones, interlocking rhythms, and "kuchishoga" vocalizations) to create a compelling piece of percussive music. Taught for the first time, the piece is designed to "orient" the audience to percussion and the techniques taiko uses to generate movement and direction in the music.